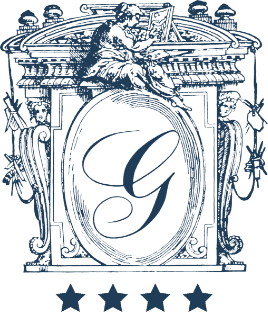 The Hotel Giorgione reflects the commitment to hospitality of its owner's family. Each room, all services and comforts provided by the hotel have been designed to offer its guests the pleasure and dream of living in a historic stately Venetian residence, where no detail has been overlooked and where guests can enjoy the hotel as if it were their own home. Breakfast at Hotel Giorgione will be the highlight of your stay. Served in the spacious and typical breakfast room and outdoors in the Venetian courtyard in the summer season, a variety of fine food and drinks are offered to meet our guests' needs to help them start their days in Venice in the best possible way. The services offered by Hotel Giorgione are ones that are essential in an internationally acclaimed 4-star hotel in Venice: from the laundry service to the internet point and the 24-hour reception, combined with a careful and impeccable attention to its guests. The hotel offers a fully equipped meeting room which seats 24, ideal for reunions and business meetings, with catering service on request. The tasty and authentic dishes of the Venetian cuisine, prepared to perfection by Serghei Hachi, chef of the adjacent Osteria Giorgione, with a wine bar offering a rich selection of fine wines from the best Italian and international cellars.